For three years, David and Lynn Roush jarred their own honey and made beeswax products from only a few hives. In 2017 their little apiary grew from a hobby to a business. They needed help figuring out their brand and how to tell their story to the Columbus market. 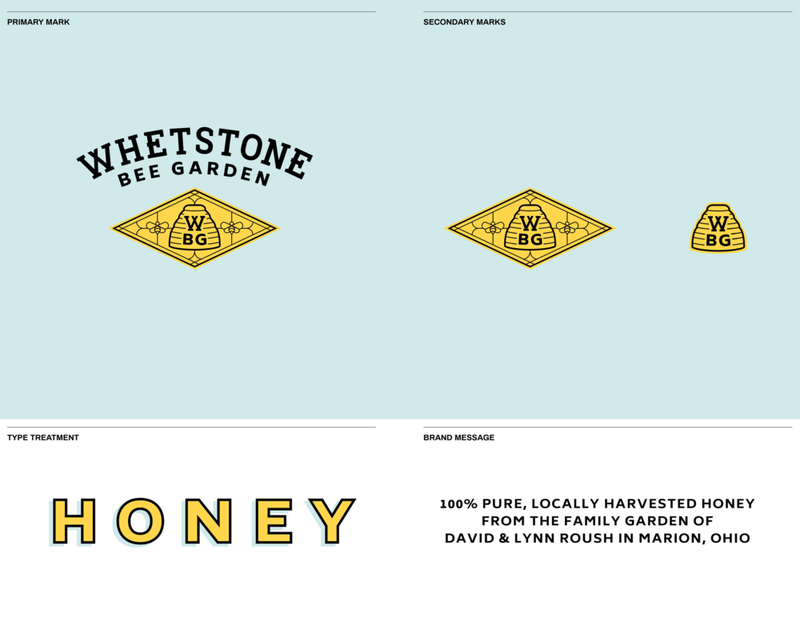 Remo Remo Design helped Whetstone Bee Garden in every part of their rebrand, from crafting their name, logo and online presence to identifying their target audience. They are a no-frills apiary with high-quality products and premium packaging to match. Considering their story, we came up with the name Whetstone Bee Garden, which references their location, their size and offers a sense of intimacy. 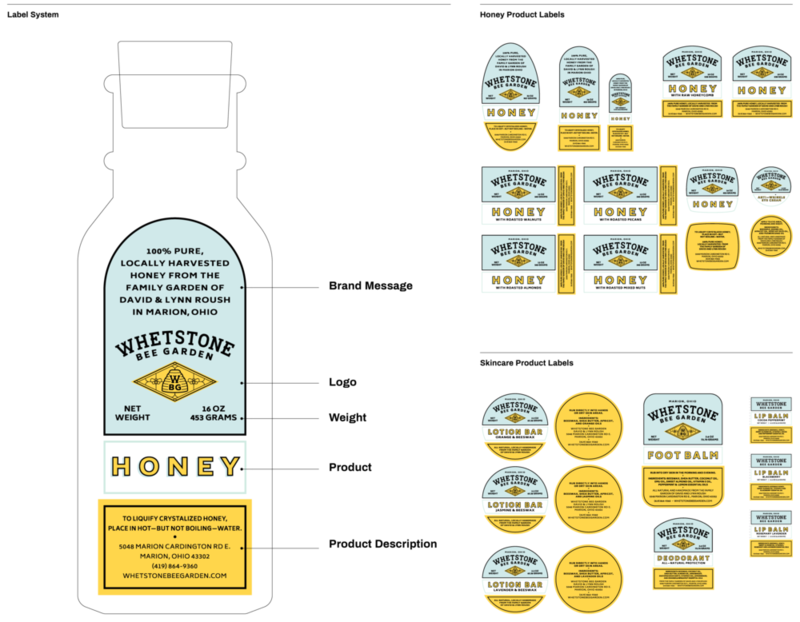 Whetstone Bee Garden’s brand message needed to be consistent across the honey products. We created a label system that could accommodate the change in product name, as well as fit to a range of shapes and sizes. 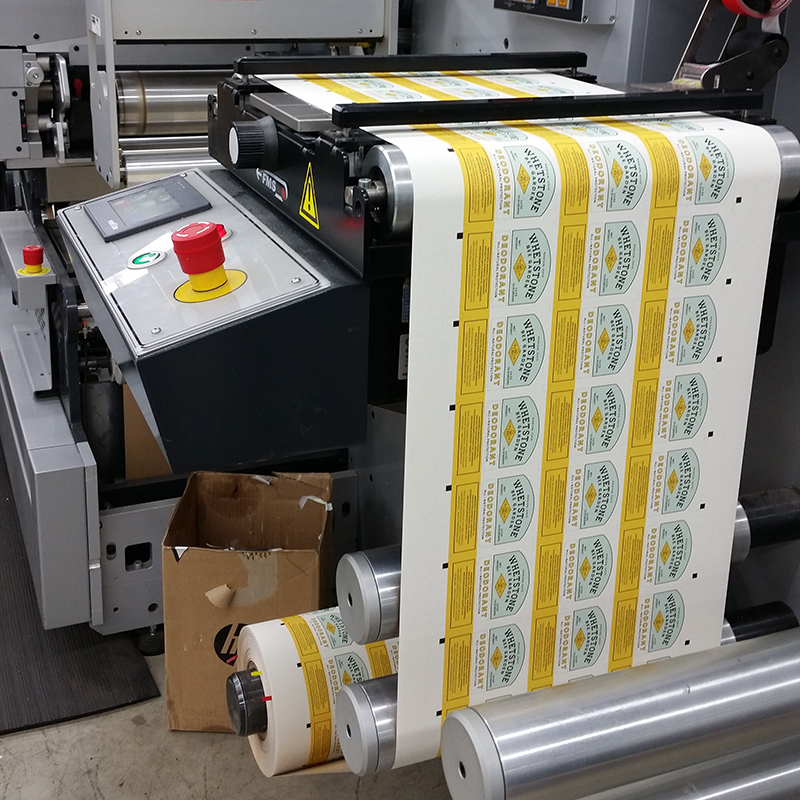 Previously, labels were printed at home and weren’t representative of the quality of their honey and cosmetic products. We worked with Blue Label Digital to find a material that felt premium and elevated the nostalgic style of vintage packaged goods. 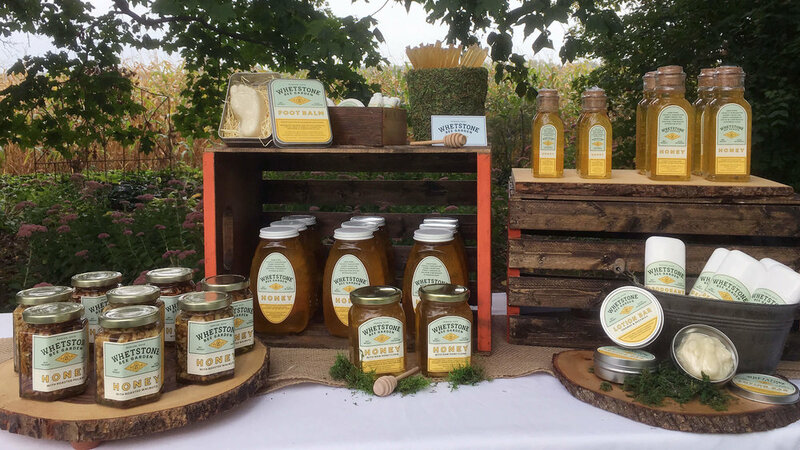 As Whetstone Bee Garden grew, they needed to extend their brand beyond a physical marketplace and move online. We launched their first digital presence complete with a website, social media and E-commerce.